Meta review: The Crucial MX500 has a lower endurance rating than the Samsung 860 EVO, but offers good performance at an attractive price point. 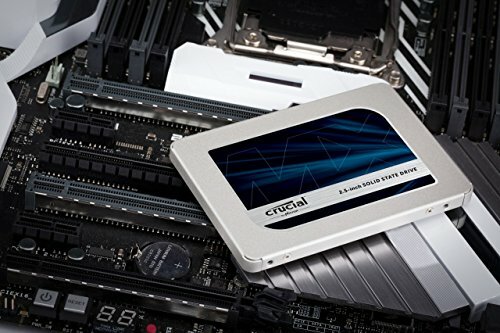 The Crucial MX500 has been a top seller in the 2.5″ SATA segment since its launch in late 2017. It uses 3D TLC, or triple-level cell NAND, making it a direct competitor to the also popular Samsung 860 EVO from the same time frame. 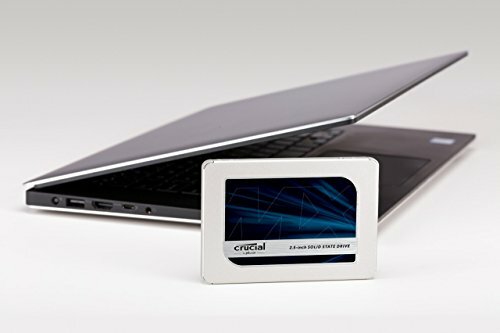 Just like many other SSDs in the period 2017–2019, the Crucial MX500 is equipped with 64-layer ‘3D’ TLC (triple-level cell) NAND Flash memory. 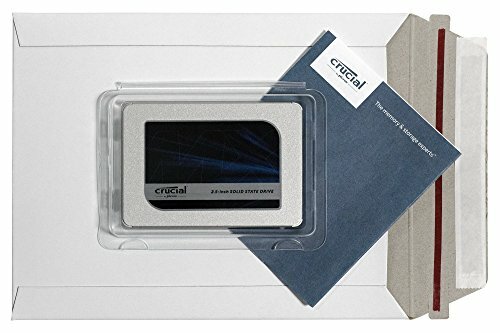 In this case the memory chips are manufactured by Crucial’s parent company Micron. 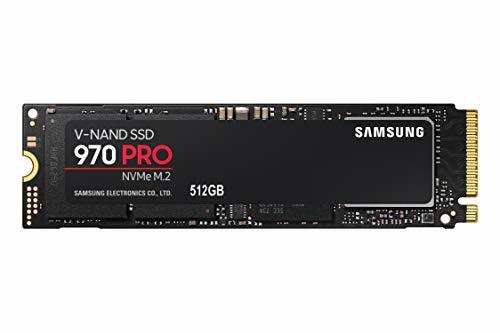 Compared to the MLC (multi-level cell) NAND used in the 860 PRO and a few other high-end SATA SSDs, TLC memory cells can hold an additional bit. This results in improved manufacturing efficiency and a lower cost. However, TLC comes with a set of tradeoffs – most notably related to performance and durability. 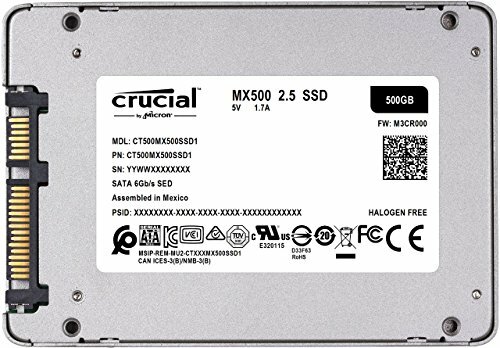 The Crucial MX500 is equipped with the third-party Silicon Motion SM2258 controller, which has been used in several SSDs from around 2016 and onwards. 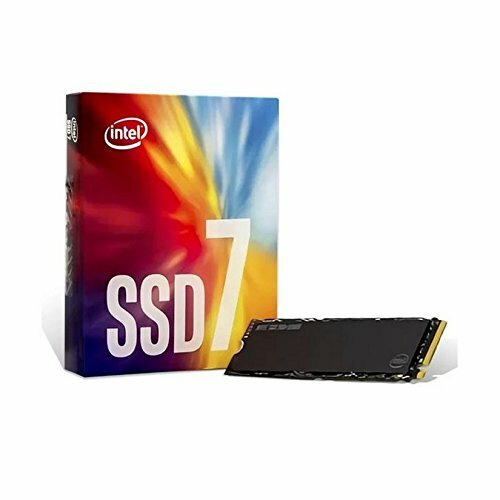 It is also used in drives from Intel, Adata and Plextor, among other manufacturers. To speed up write transfers, the MX500 uses a Micron technology called Dynamic Write Acceleration that was first introduced in the Micron M600 This is essentially a dynamically sized SLC (single-level cell) cache. 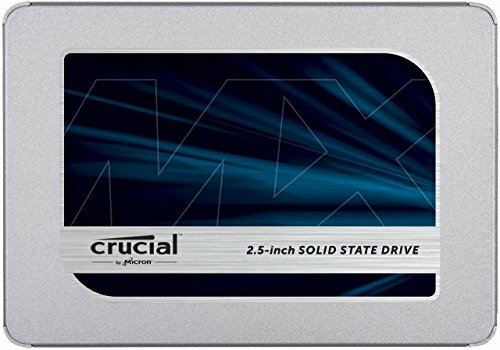 Unlike many other SSDs, the Crucial MX500 promises consistent performance across all available capacities (250 GB to 2 TB), according to Micron. In real-world tests, however, the smaller capacities appear to be slower as expected. As is often the case, power consumption increases in line with capacity, meaning that the smaller Crucial MX500 capacities are more power efficient. For example, maximum active power consumption in the 250 GB variant is 3 W, but this number doubles to 6 W in the largest 2 TB model. In the 500 GB and 1 TB models, the corresponding numbers are 4 W and 5 W. The situation is similar for Device Sleep and Slumber (idle) power states. Laptop battery life testing conducted by Tom’s Hardware revealed that the 500 GB capacity is slightly more frugal than the competing 500 GB Samsung 860 EVO, resulting in a 6% improvement of battery life in this single test. The Samsung 860 EVO includes support for standard AES 256-bit hardware-based encryption. It is also compliant with TCG Opal and IEEE 1667. In terms of performance, we see the drive outperforming the previous-generation Crucial MX300, but not by a large margin. 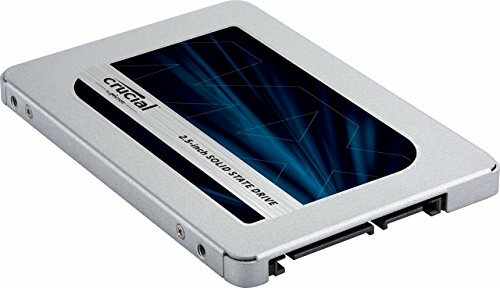 This means that the drive is right up there with the fastest SATA drives, which are all limited by the speeds the aging SATA interface can provide. The MX500 is one of the cheapest SSDs on the market at the moment, and it offers real-world performance very close to the Samsung 850 EVO. This makes it very easy to recommend. Meta review: The Crucial MX500 has a considerably lower endurance rating than the Samsung 860 EVO, but offers good performance at an attractive price point.